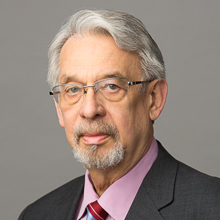 Partner Donald W. Rupert presents program on Rule 50 of the Federal Rules of Civil Procedure at the IPLAC Litigation Committee spring meeting. The presentation will focus on the requirements that must be met to preserve appeals on issues decided by a jury. Judge Rebecca R. Pallmeyer, of the Northern District of Illinois will present the views of a trial court judge during the program.